Well arriving fresh at the crack of 6am(above photo taken later, when I arrived, it was an hour before sunrise), I was amongst my brethren of bicycle traders and collectors. Flashlights and lanterns in hand, brisk money was traded for rusty goods. Some of the best deals are made before the sun rises, and I have found, some of the worst transactions as well, as a potential buyer, eager to one up someone else, might not see the extent of rust or bent wheels, or worse. And all transactions are final. There were lots of interesting bicycles and parts there. This swap meet caters more to the vintage bicycle, compared to the swap meet at the velodrome that is new lightweight stuff. 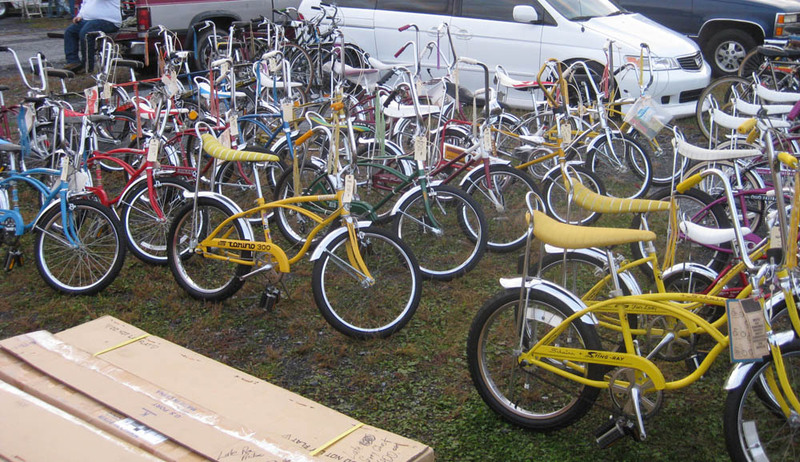 There were piles of Schwinn Stingrays, and balloon tire bikes, and even quite a fair share of turn of the century bicycles with wooden wheels. 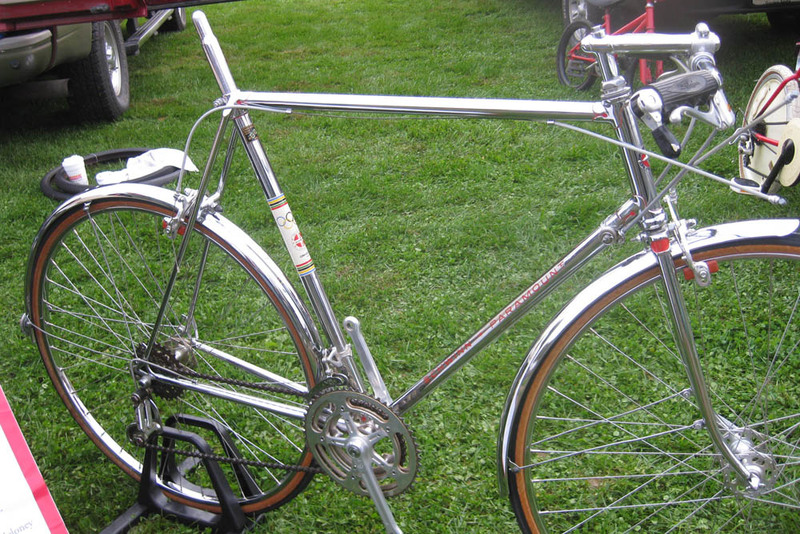 I personally like the chrome Schwinn Paramount, a 1941 model, that was retrofitted by Schwinn in 1971. There was an Alvin Drysdale Ace there for sale, some other vintage track rides, an early 1950s Claud Butler Jubilee, and various bits and bobs. I will add more pictures this week, identifying some of these bikes and much more. The weather was perfect and the turnout was high. 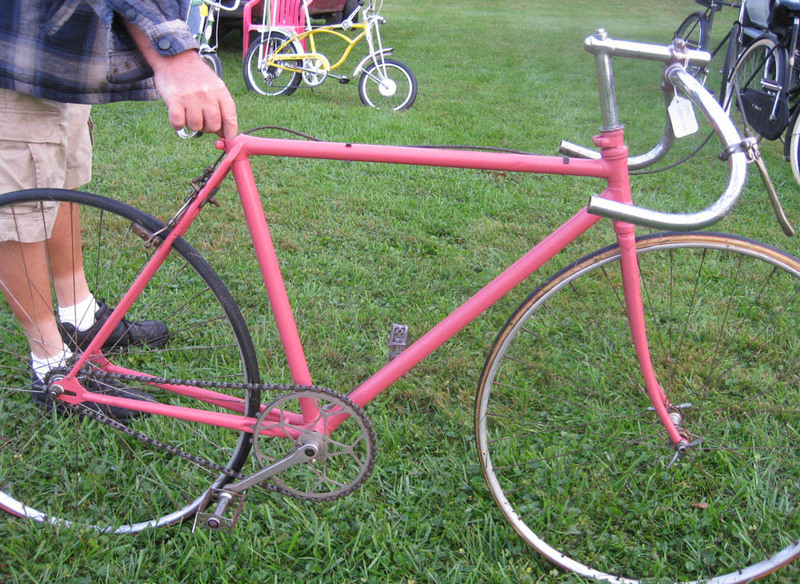 Unidentifed track bike with a Schwinn Paramount Stem. 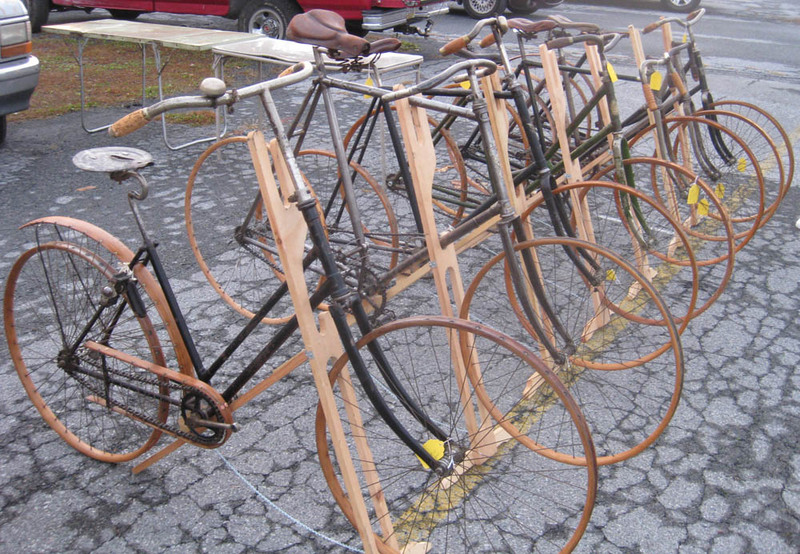 awesome selection of 1890s bicycles. I not much of a Schwinn fan, but that Paramount is really a head turner. Wow. the story about that Paramount is interesting as well, I will post about it, with pictures soon.